Hungarian music. Not necessarily hip with the kids at first glance either. And yet… This. Is. A. Masterpiece. Only mad visionaries would dare mix together ingredients that would panic a polecat. Glazer, Morris, Squibb, Landin: hats off to you, sirs. Even madder is the head of marketing who championed the script in the first place. 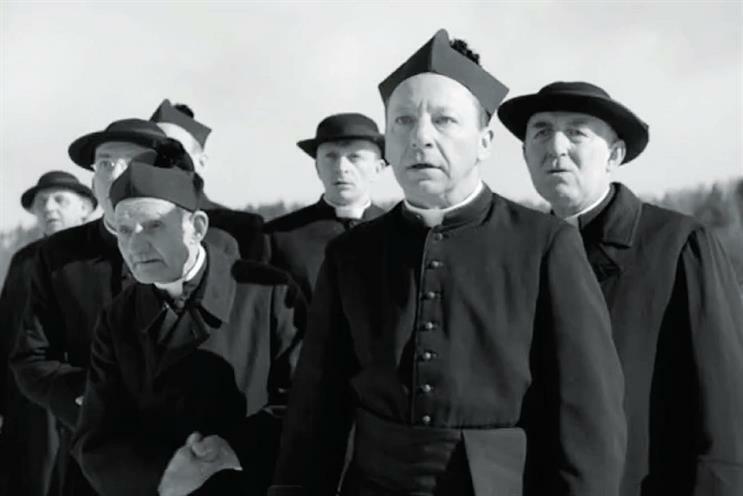 Just imagine the pitch to the chief marketing officer: "Right, so, our BIG brand film for the year is about a bunch of 1920s dress-wearing men of faith who – God forbid – wish to have a bit of a piss-up on an iced lake while skating. Against a track written 150 years ago. In black and white. And we’re booking two-minute slots for it!" Complete and utter madness. Combined with sobering sense. This film is the third iteration of a strategy that would go on for years. Brand-building is a perennial exercise, especially in the age where it’s said humans have a shorter attention span than goldfish. As far as endlines for lagers go, "Reassuringly expensive" is probably the second best in the world. But to me, just like "Good things come to those who wait", it dared to spin an issue on its head as its marketing message. Problem-solving will always be more rewarding than capitalising on strength. Because why push an open door when you can lift the whole roof?